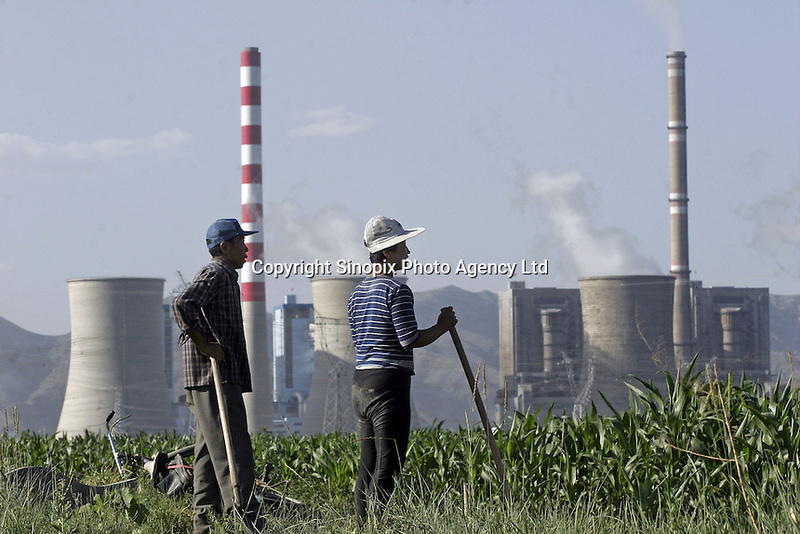 Two Chinese farmers stand beside their corn field close to the Shengtou No. 2 Power Plant near Shuozhou, Shanxi Province, China. Power plants such as this one in China's rural provinces in the north supply over two thirds of Beijing's electricity and suffers environmental pollution and even local brown-outs to guarantee the capital's power demand..